Those with a passion for motorcycles likely rank the Bultaco among the very greatest of the two-wheeled greats. After all, this Spanish outfit was one of the first to pioneer the two-stroke engine and it subsequently obliterated the heavy British brutes when it introduced its lightweight machines to the trials riding scene of the 1960s. Alas, all good things must come to an end and Bultaco ceased trading in the 1980s, committing models like the Sherpa, Pursang and El Tigre to the history books. 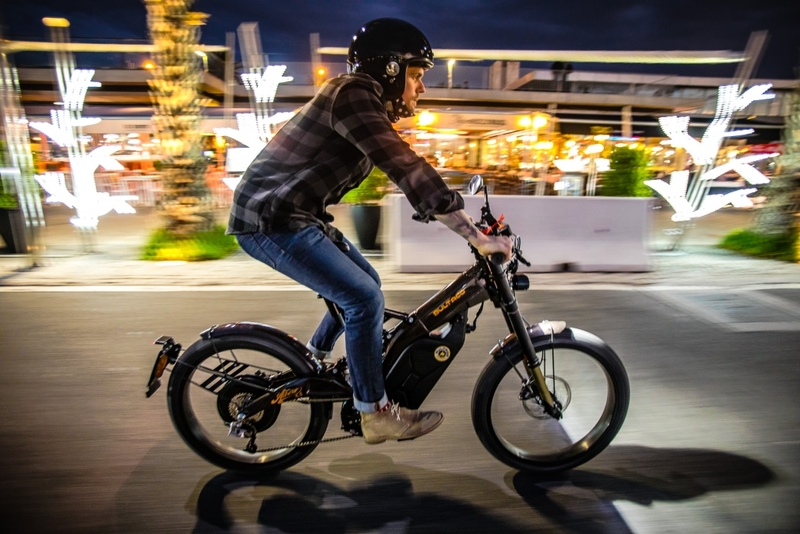 But in 2014, a group of tech investors revitalised the brand and set about creating electrified concepts that stayed true to Bultaco’s roots – namely focussing on its passion for innovation and delivering grins by the bucket load. Shortly after this, the Brinco was unveiled and it introduced the Spanish brand’s slightly leftfield concept of a moto-bike to the general public. 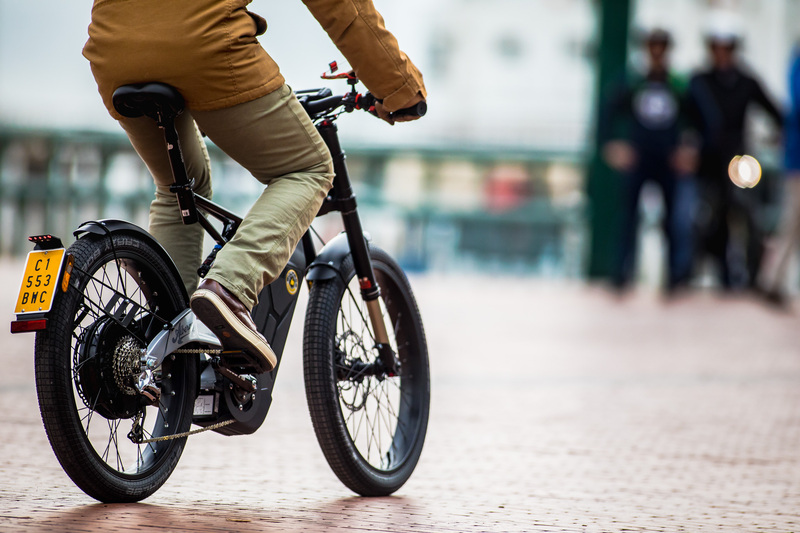 The engineers behind the proposition looked at high-end full suspension mountain bikes and added a powerful electric motor into the rear wheel, allowing the rider to either rip the grip throttle and tear up the trails as if riding a motocross bike, or pedal like a mountain biker. 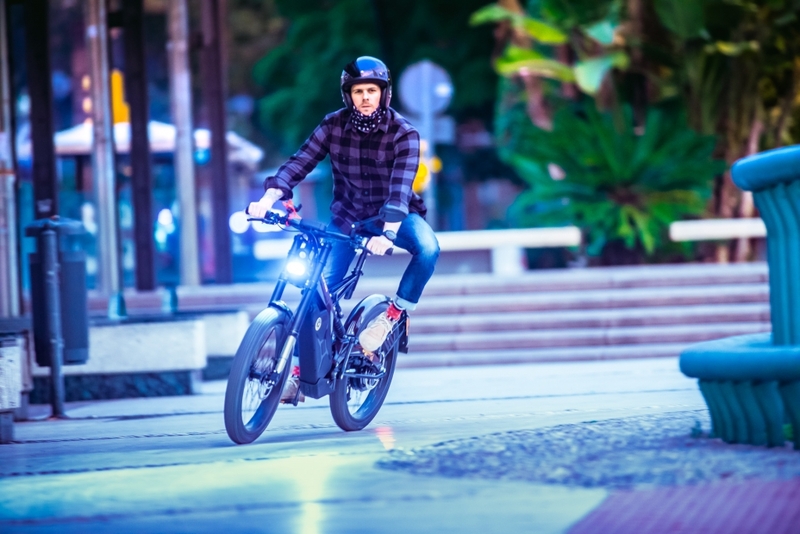 As a result, Bultaco has sold around 2,000 Brincos to date, which it claims makes it one of the most important manufacturers of premium light electric vehicles. But now, the firm is taking its concept to the streets and the all-new Albero has been designed on the same basic principles as Brinco but with bespoke modifications for inner-city use. 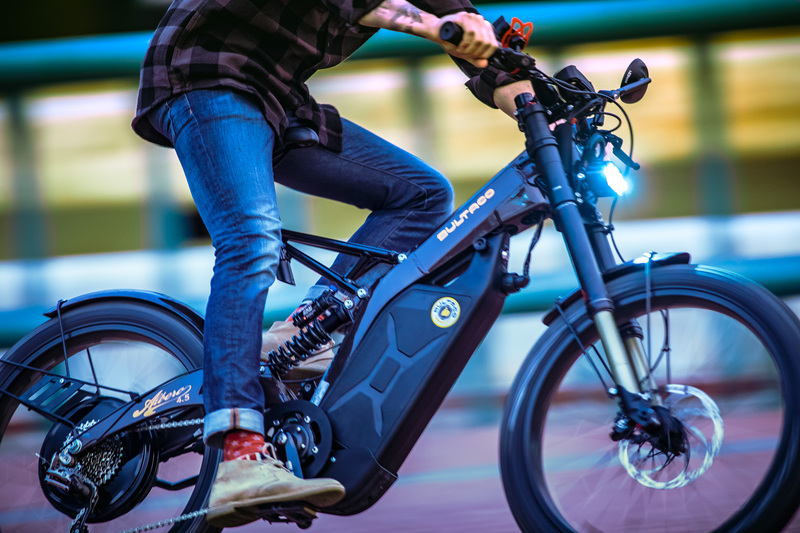 The resulting machine is like nothing else we have set eyes on here at Flat-Out – a cafe racer-inspired concoction that fuses the everyday practicality of an electrified push bike with the high performance and ‘twist-n-go’ riding experience of a motorcycle. Staying true to its roots, Bultaco 2.0 decided to base its operations in Barcelona and Madrid, so it was only natural to launch its new creation in the Costa del Sol. Malaga is not only home to some pretty reliable weather (although it pissed it down on this particular trip), it is also one of the most cycle-friendly cities in Spain. On top of this, some impressively twisty routes, tricky climbs and stretches of open road that are perfect for testing the Ablero’s mettle surround the coastal city. We touch down in the early afternoon and are warmly greeted by the Bultaco team but in true Spanish style, it takes longer than anticipated to get a handle on proceedings. It gives us time to study an Albero that is neatly parked up outside the Room Mate Valeria hotel, which will provide our digs for the evening. Upon first meeting, it doesn’t look too dissimilar from the electrified mountain bikes offered by Specialized and Giant but a closer study reveals a lot more. For a start, the 203mm, four-piston caliper married to the hydraulic front brake indicates that this thing is capable of more than mere trail riding speeds. Secondly, there’s a grip throttle located on the right of the handlebar, as well as grip shift gearing on the left. Our Bultaco guide arrives and taps a rubber wristband onto the main computer that hovers in front of the handlebars. The screen flashes into life and a ridiculously powerful 1100 lumen headlight temporarily blinds a group of passing tourists. 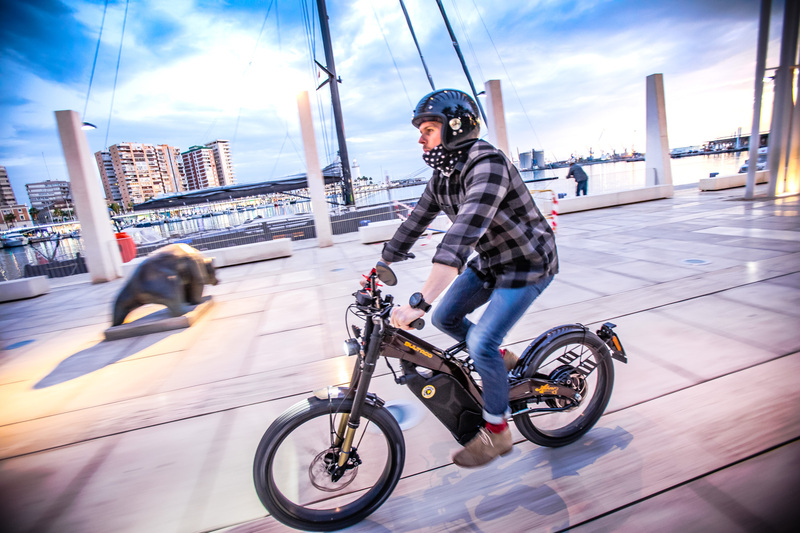 “You can’t approach this bike like a motorcycle or a bicycle,” explains Bultaco public relations man Pablo Gómez. “It’s definitely a mix of the two and I suggest you set off pedalling and then apply some power from the electric motor,” he adds. We set off towards the port where we can play around on some of the emptier roads. The area is restricted to most traffic, but because nobody has a clue what we are riding (and the fact Bultaco has a ‘special’ relationship with the mayor) we are left to our own devices. 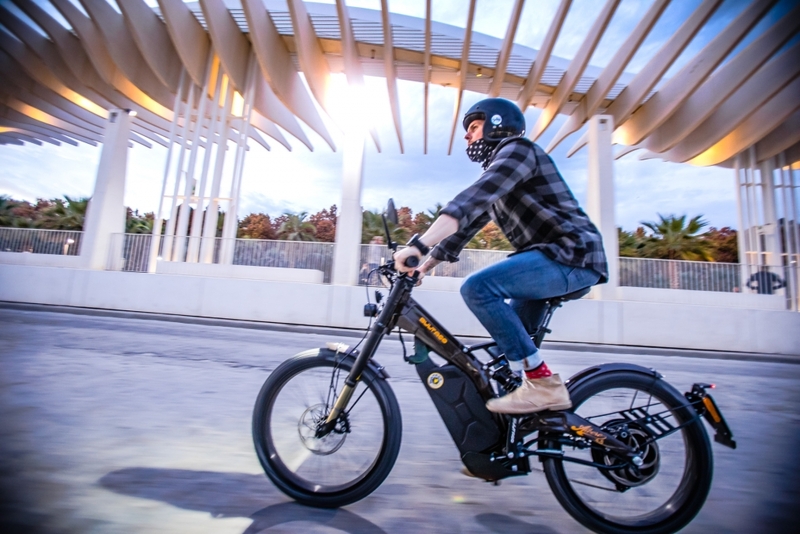 It’s a slightly eerie feeling at first, even though we have spent plenty of time aboard electrically assisted bicycles and eco-motos like the Super Soco, because the Albero really does straddle both worlds. Begin pedalling and it feels like a regular, albeit heavy mountain bike but twist the throttle and the machine picks up pace with surprising efficiency. 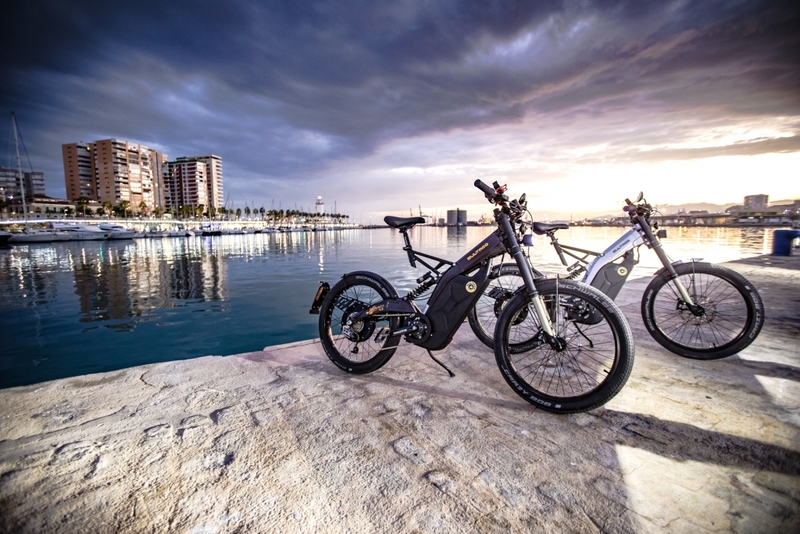 There are three modes that can be selected via the small computer, Eco, Touring and Sport. Of course, we stuck the thing in Sport immediately, which sees the full 2kW of power available instantly. We gently cruise past the couples taking a romantic stroll among the yachts before ripping the right throttle and blazing towards Playa la Malagueta. The Albero is capable of reaching a top speed of 45km/h (28mph) but thanks to a clever planetary gearing system in the front cog, which replaces the need for two individual cogs, it’s possible to increase the travel by a ratio of 1:1.65 and pedal along, even when the electric motor has reached its electronically limited max output. Get the motion just right and it’s possible to push the machine well beyond its official top speed. It’s like being able to travel anywhere at the same speed of a pro peloton but with little or no effort. Super stylish, warm and welcoming, the Room Mate Valeria is decorated to feel like you are visiting an old friend when it comes time to stay. 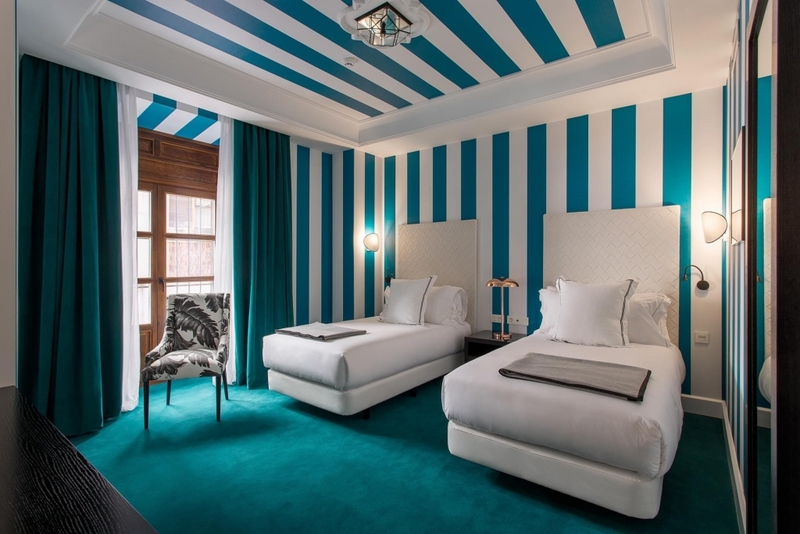 That means rooms are inspired by Andalusia and decked out in bold striped wallpaper, furnished with comfortable chairs, sofas and beds, while public spaces are bright and convivial. 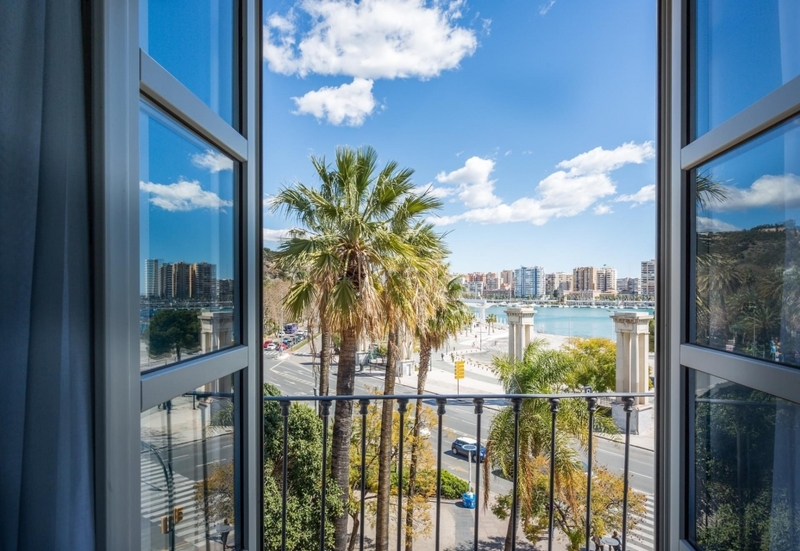 It is located downtown near the port and sea front, close to plenty of shops, bars and restaurants, as well as bicycle hire companies should you wish to explore the city on two wheels like we did. 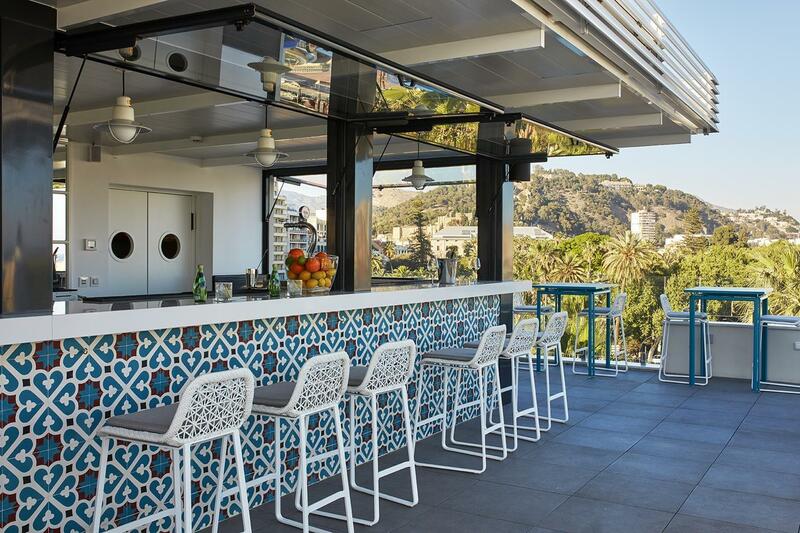 Although the communal kitchen area can feel a little bit like an upmarket hostel, we did enjoy the roof-top terrace and bar, complete with miniature swimming pool and numerous chill out zones. 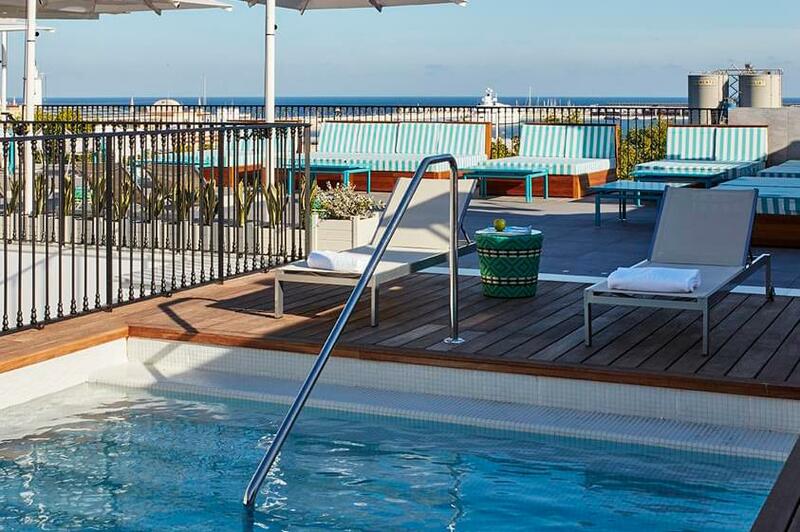 Rooms from €95, visit the website. 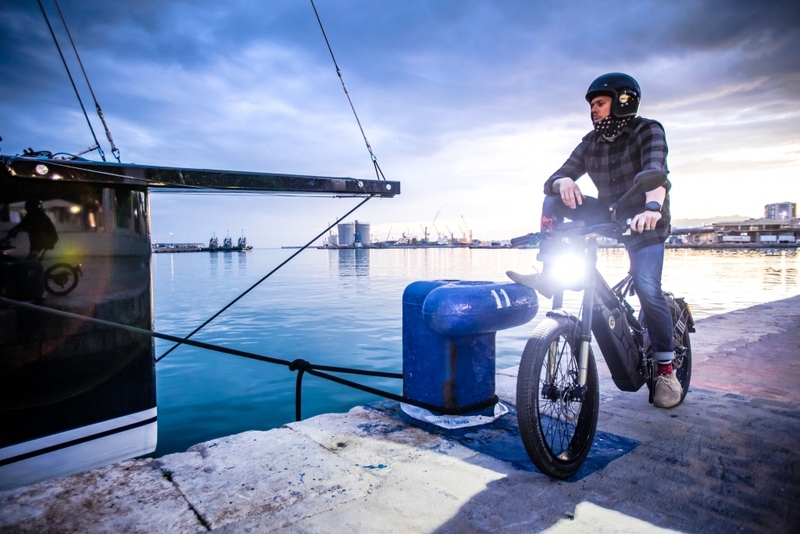 The sun drops surprisingly fast here in winter, so we soon find ourselves hacking though the city by light of that stupendously powerful headlamp. 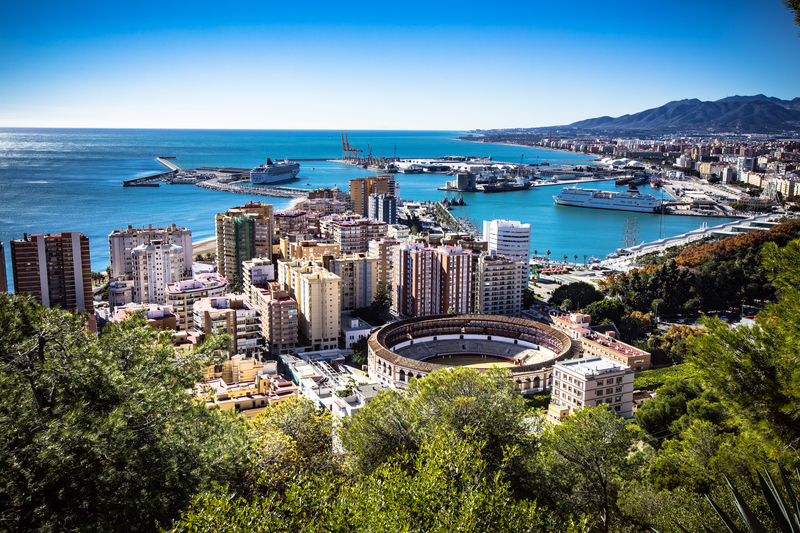 Pablo suggests we tackle some of the steep climbs that work their way up from the low-lying promenades and shops of the main beach towards the surrounding hill towns. It is at this point in any pedal-powered venture that the heart typically sinks, sweat begins to drench the back and the sudden urge to heave at the side of the road takes over but we dash up the steep inclines with the same sort of ferocity we applied to the city. With the SRAM gearing dropped to the most powerful cogs, we stomp up the climbs, every downstroke on the pedal is assisted by the electric motor, meaning we maintain a steady and surprisingly punchy pace. “Once you’ve ridden the bike for a few days, it’s easy to perfect the balance of throttle and pedal power to get the most out of the batteries,” Pablo explains while we stop at the top of the climb to admire the twinkling lights of the city below. According to the guys at Bultaco, one of the lead engineers managed to eke 120km (75 miles) from a single charge during one decidedly economical test run. There are a few routes back down towards the crowds of early Christmas shoppers but Pablo points towards a narrow cobbled pathway that look distinctly like a route that’s definitely not designed for vehicles. 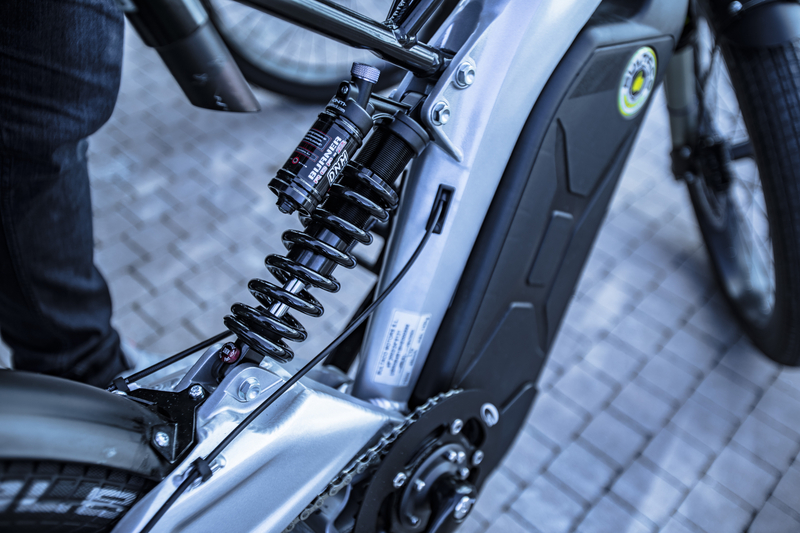 It ends up switching back and dropping off like a concrete single trail, with the scarred surface of the path acting as a good test bed for the upside down front forks and monoshock at the rear. The route slaloms right and left and the massively powerful hydraulic 203mm four-piston caliper brakes come into their own, causing the giant Schwalbe Crazy Bob tyres to slither and skid on the shiny surface. 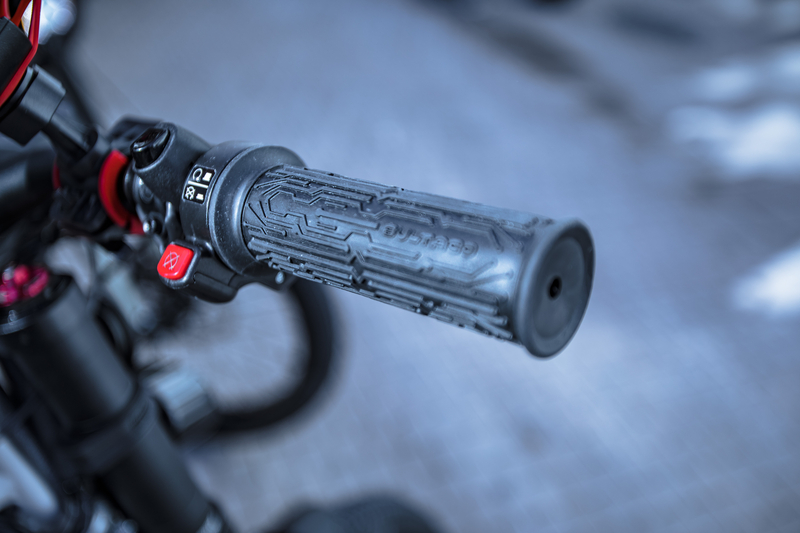 Powering out of the tight corners using just the throttle is pure and a lack of pedalling duties allows for easy balance and weight transfer into the next. It really does feel exactly like riding lovechild of a lightweight motorcycle and a bicycle and although the single piece aluminium frame might not look like much, it’s the sole reason why the Albero is so fun to chuck around. Quite predictably, it absolutely hammers it down on the second day of the official launch but that doesn’t stop us donning the waterproofs and hitting the slippery city streets. The beefy disc brakes certainly come into their own in these adverse weather conditions but the distinct lack of rubber beneath the bike means it’s advised to take things cautiously. 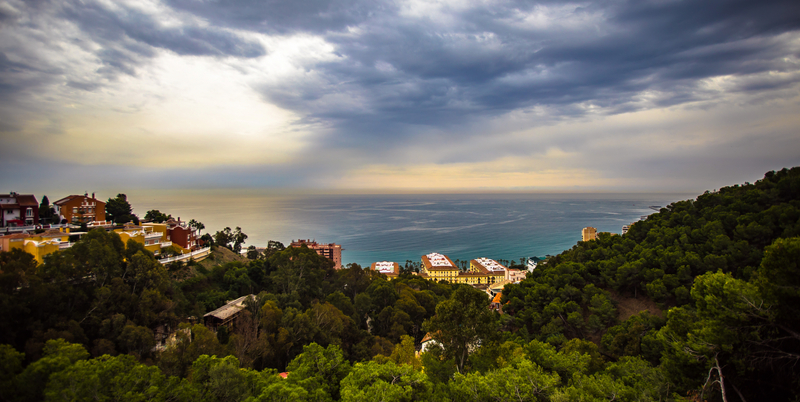 But a tentative cruise along the sodden promenade allows for some time to ruminate over the Albero. 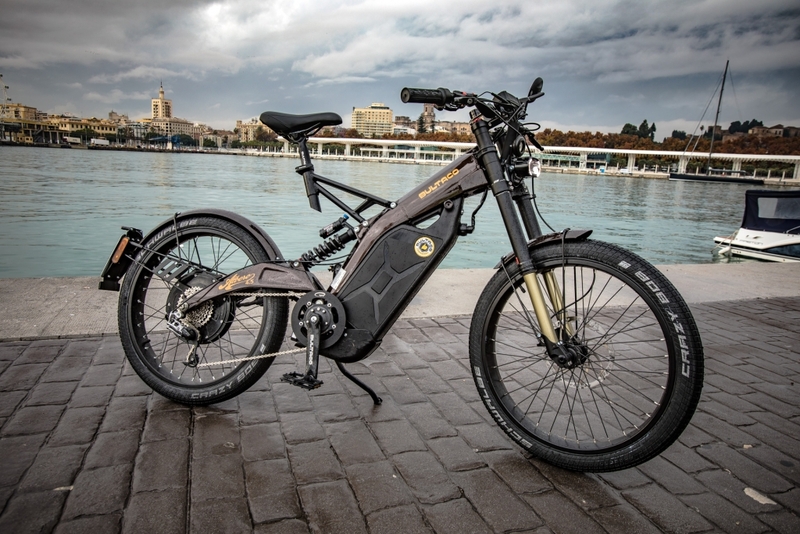 Let’s start with the price: the Brinco, upon which the Albero is based, costs around £4,000, but the Albero costs £4,695, which is a lot of money to part with for a bicycle. 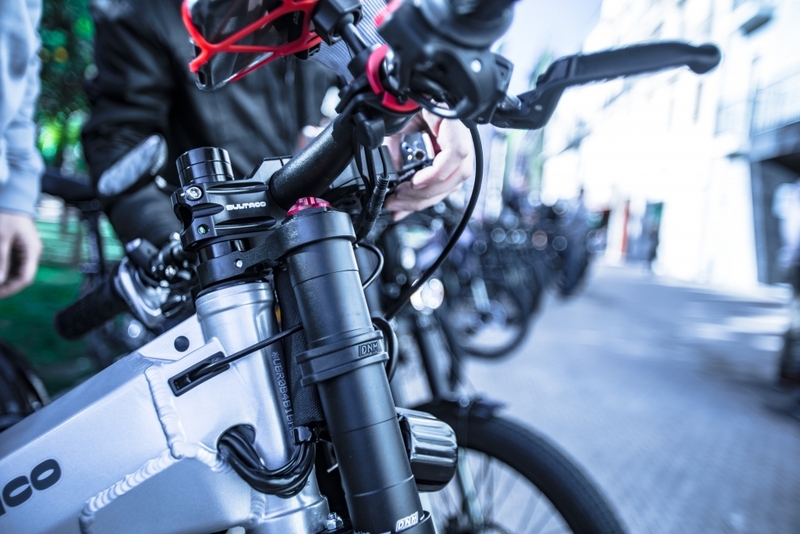 But this isn’t your standard e-bike and even the most basic off-road offerings from the likes of Specialized and Giant hover around the £3,500, so let’s not get bogged down with price. 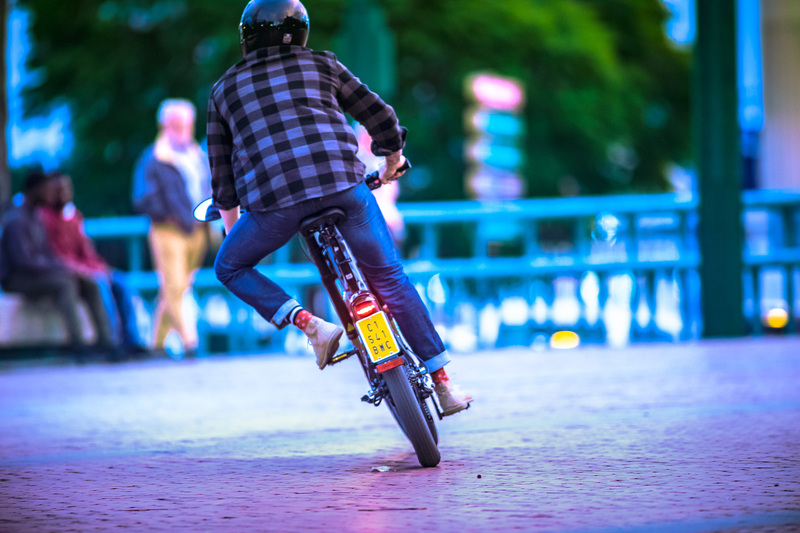 More importantly, let’s focus on legislation, which is still all over the place when it comes to electric bicycle ownership. In most of Europe, it will be possible to register the Albero 4.5 for the road and so long as you have the correct licence and insurance in place, you will happily be able to blast around the streets at 45km/h. Alas, things aren’t so clear here in the UK and it is understood that we will probably have to make do with 2.5 version, which negates the need to obtain a licence and insure the thing but limits output to 250W and the top speed to a far more sedate 25km/h (15mph). If that is the case, we will probably give it a miss. Everything that’s good about the Albero surrounds its instantaneous torque and nippy top speed. It’s enough to elevate it above and beyond the cool Super Soco, simply because we enjoyed having the more potent acceleration to get in and out of slower traffic and the Albero doesn’t suddenly top out as soon as you reach 28mph. But before committing to purchase, we’d want to know if we could legally use cycle lanes here in the UK and not get hassled for riding the thing on the road. 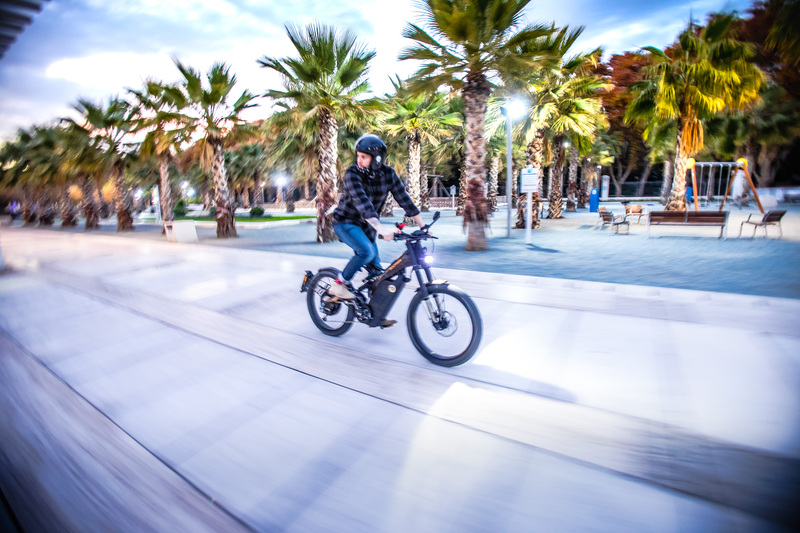 As soon as legislation clears itself up, the Albero could be a neat glimpse into the sort of transport we’ll all be riding when many of the large European cities ban the internal combustion engine for their streets. It’s neat, easy to live with and clean. But more importantly, it’s a lot of fun. Editor’s note: Zoom into the map to get the most out of this road trip. Limited range and weary legs make for a rather condensed route.